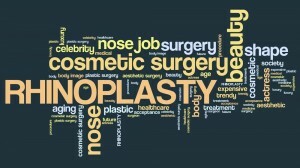 Commonly referred to as a nose job, rhinoplasty is a plastic surgical procedure performed for women and men seeking to improve the size, shape, and/or overall appearance of their nose. In addition to addressing aesthetic concerns, the procedure can also be conducted to enhance the functional integrity of the nose by resolving issues that may be responsible for obstructed nasal breathing. If you have any of these nasal concerns, or if you have an issue that is not named above, I strongly encourage you to seek the expertise of a Fellowship-trained facial plastic surgeon who has considerable experience and proven results in cosmetic and reconstructive rhinoplasty. Following an extensive examination of your specific needs and goals, he or she should not only be able to determine if this complex procedure would be right for you, but they should also have the skill and expertise to perform the operation in the safest, most effective manner possible. To schedule a rhinoplasty consultation with Dr. Shadfar, please do not hesitate to contact us today at the Aesthetic Institute of Oklahoma.